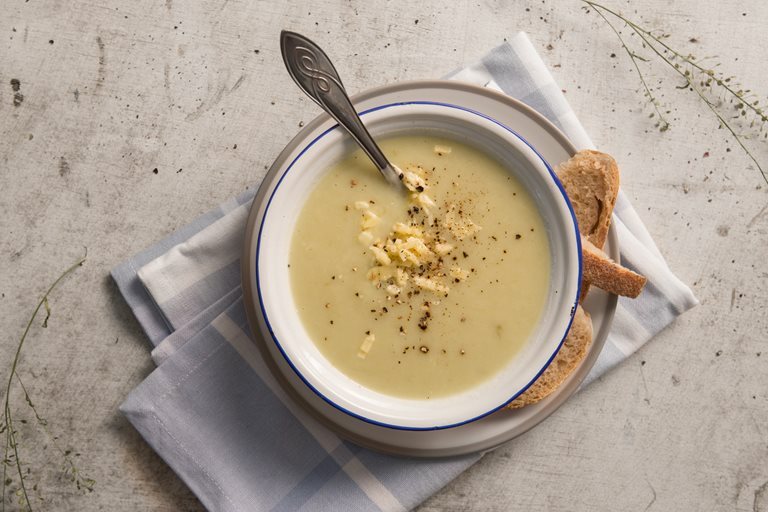 This sumptuous leek and potato soup recipe makes a surprisingly healthy family meal and, as Jane explains, is a great dish to cook with your kids. Cooking with my kids is often explosive, food tends to end up on every surface and when we have finished it can look like post war battlefield with dishes and cutlery slowly recuperating in the dishwasher. However we are all aspiring MasterChefs and like to give most recipes a go. In October last year we were all forced to look at our diets and the food that we consume in much more detail when my six year old daughter was diagnosed as having diabetes. Children (and adults) who have diabetes stand higher than normal chances of developing heart disease, high cholesterol and other diet related complications. Hence we have all shifted onto a low fat diet with as much wholemeal goodness as possible. In addition because she is insulin dependent we also have to count the carbohydrates in every meal to ensure she gets the right dose for whatever she chooses to have for lunch! Because of her diabetes and the impact that has had on our family we all look at labels and ensure that we choose healthy options but also getting all the kids involved in cooking helps to develop their awareness about food and what is better to eat. 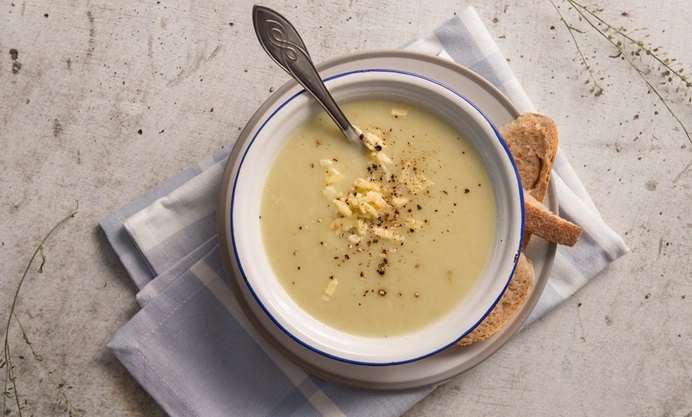 A family favourite for all us in this house is soup; it is an easy way to get goodness into all three of the children, and my non vegetable eating other half, and a nice simple meal that the children can help prepare. My elder two children are seven and are entrusted to chop the leeks and peel the potatoes which they do with delight. After making this soup we are known to find bits of potato peel for days after the event in the strangest of places, including my son’s pockets. I normally cut the potato as it tends to be a bit tougher and I fear one of them will lose a finger. Jane is a freelance writer, editor and blogger who also writes about living with children who have Diabetes Type1 and Hip Dysplasia.